Purchase this product now and earn 6,953 Reward Points! A high strength probiotic wafer with a chocolate flavor that children love. Free of common allergens. Gluten and casein free. 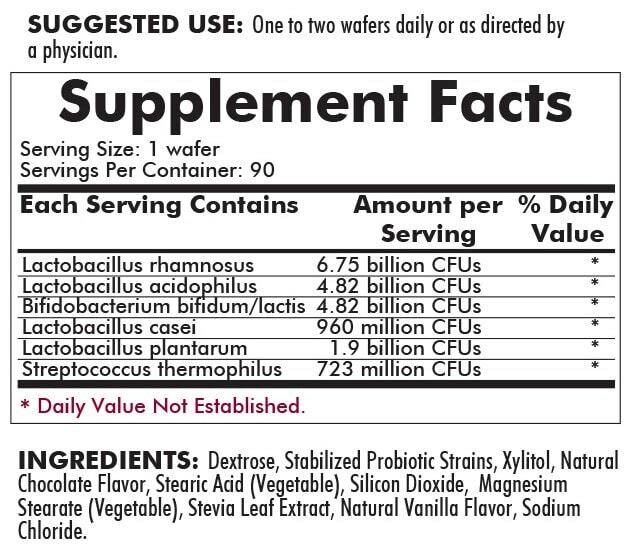 90 wafers. 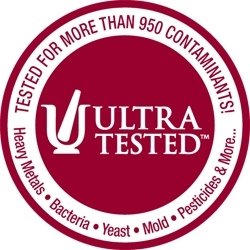 Ultra Pure®. 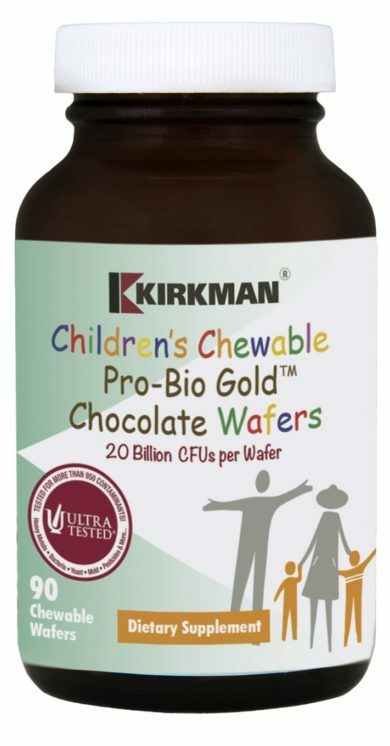 Kirkman’s most popular probiotic, Pro-Bio Gold™, is also now offered in a tasty, chocolat, chewable wafer with the same six certified strains of organisms present in our signature Pro-Bio Gold™ product and with the same potency. 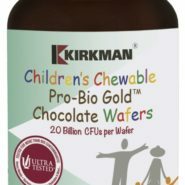 Normally, chewable probiotic formulations are weak, low dosage products because of the fragility of the organisms; however, Kirkman® has developed an optimal formulation that is produced under special cold, dehumidified conditions so that the product maintains full potency when compressed into a tablet. 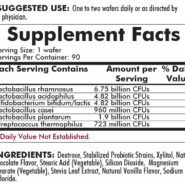 FREE OF: Soy, wheat, casein, gluten, milk, egg, yeast, gelatin, artificial flavorings, artificial colorings, inulin, peanuts, tree nuts or fish. 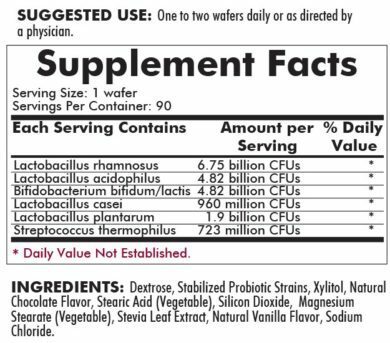 INGREDIENTS: Dextrose, Stabilized Probiotic Strains, Xylitol, Natural Chocolate Flavor, Stearic Acid (Vegetable), Silicon Dioxide, Magnesium Stearate (Vegetable), Stevia Leaf Extract, Natural Vanilla Flavor, Sodium Chloride.